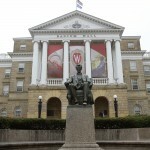 Does criticism of Israel equate to anti-semitism? Ilhan Omar, U.S. Representative from Minnesota, has been criticized as being anti-semitic for her criticism of the Israeli government. 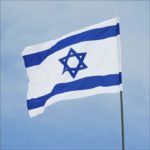 Jan talks with Abba Solomon, author of “The Speech, And It’s Context”, about how criticism of the country of Israel is not the same as anti-semitism. 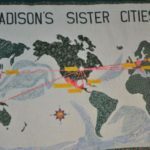 In a prelude to the Madison Sister City’s celebration on April 27th, Jan will be talking with representatives from 8 of the 9 Sister City groups. Today she talked with Ricardo Gonzalez from the Camaguey Cuba sister city and Salvador Carranza from the Tepatitlan Mexico sister city project. 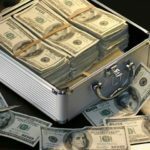 Is the U.S. a Plutocracy — should it be? Citizen’s Utility Board represents YOUR interests! Who looks out for the consumers for a monopoly-based industry like electricity, gas, or water utilities? The Citizen’s Utility Board (CUB) of course! 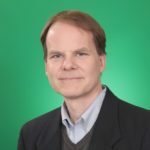 Jan talks with Tom Content, the Executive Director of CUB about what that non-profit does to help control the reins of cost of utilities to the state’s consumers.